Afghanistan isn't a place you'd expect to grace the humble pages of surf media - the country's completely landlocked, for a start. And while our powder riding brethren can get a mountain kick after travelling through a husk-like environment, there hasn't been anything of note for us to train our lenses on. Much was the surprise then when Afridun Amu's name popped up as representing Afghanistan in the upcoming ISA World Surfing Games – the first time the country's ever fielded a competitor. Turns out, he's only been surfing for 10-years, after his family fled Afghanistan, learning the trade after settling down in Europe. 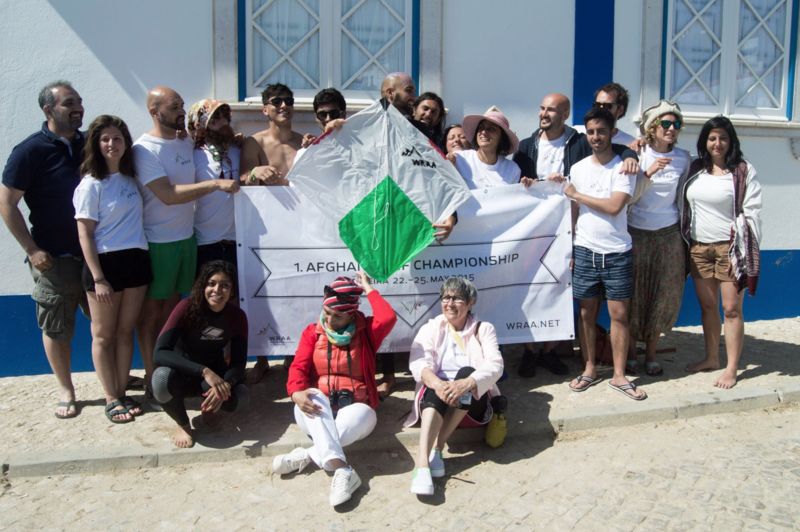 Now, Afri's camped up in Hossegor awaiting the start of the world games, selected to compete after becoming Afghanistan's first national champion. Despite its landlocked affliction, Afri's adamant there's some hidden gems in Afghanistan in the form of river waves that remain untapped in a country ravaged by war. 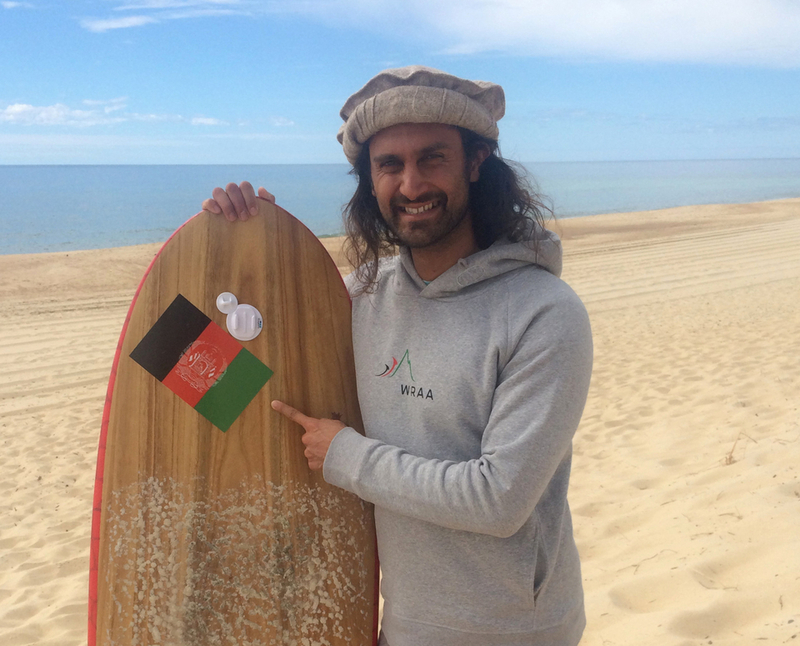 He now hopes to create and cultivate a larger surfing scene in Afghanistan, building on that ethos with the Wave Rider Association Afghanistan (WRAA), the country's surfing body. We caught up with Afri to talk life on the road, his ISA dreams and how he believes Afghanistan's rivers can nurture a fresh surf scene. First, tell us a bit about yourself; where did you grow up and how old are you now? I’m now 29 years old. I was born in Kabul, lived in Moscow until I was five. Then we fled to Germany where I grew up with my Mum and my sister. I moved away from home after finishing school, first travelled the world for a year (South East Asia, Australia, New Zealand). Afghanistan is landlocked, where did you learn to surf? And how long have you been surfing for? I learnt to surf during my first longer travel right after finishing school - a total lowest-budget hitch-hiking trip. We happened to come to France, close to Biarritz where somebody handed me a surf board - giant soft board monster - for the first time. Back then, I immediately fell in love with surfing. It was a weird feeling that I still vividly remember, this idea of knowing ''This is something I want to keep doing now for the rest of my life''. I decided to learn to surf, this is the only thing I want to do. I went back to Germany to save money to finance my first world trip, where I spent most in Australia and New Zealand surfing, this is where I really learnt to surf. After a couple of months later - having finally mastered proper duck dives, I could really start exploring the world of surfing. After this year I went back to Germany to start studying law, social sciences and design thinking in Berlin. During my studies I spent another year in Australia, half a year in South America and on top of that basically every year at least 5 months surfing somewhere: all on continents, including many trips to Indonesia, Fiji, I even managed to surf Cloudbreak, Peru, Nicaragua, Morocco, Galapagos, France and many others. And you left Afghanistan before the Taliban came to power – was that a conscious choice because you or your family could see what was coming? Yes. My parents were politically active, it was clear that Afghanistan after the Soviet invasion and the civil war was gonna move to a complete collapse. With my parent’s former political engagement it would have been too dangerous to even consider not leaving. With no ocean waves, is it viable for surfing to grow as a culture? What's the current surf scene like in Afghanistan? Afghanistan is one of the countries with the largest exil-population, many living in the UK, California, Australia etc. In so far the exiles surfing scene is already much bigger than one might think. More interesting is Afghanistan’s geography; the many wild, strong rivers. Afghanistan's first surfing championship, Afri was crowned the winner. Together with the Afghan National Olympic Committee, we plan to explore the rivers for river waves to train Afghan surfers to promote surfing in Afghanistan - with the vision of maybe participating in the Olympics 2020. I’ve already started exploring with a group of rivers surfers and there is a lot of potential for good river waves in Afghanistan. The country's faced tumultuous times for decades. 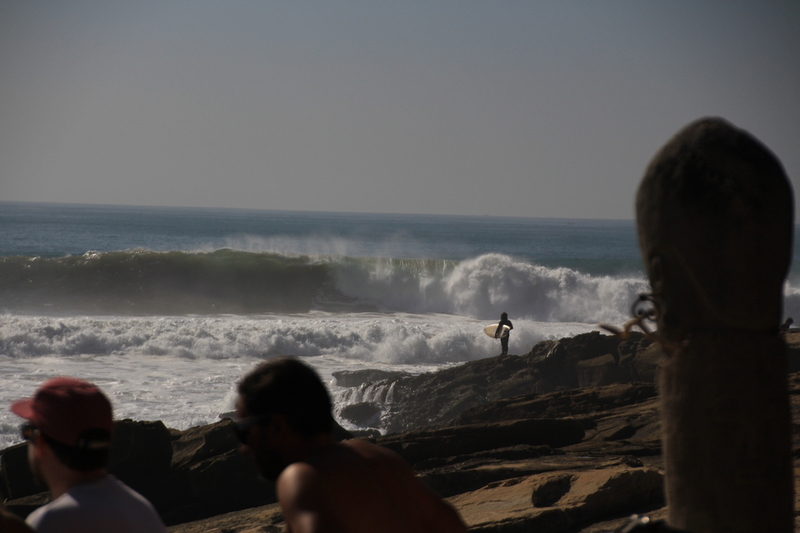 What do you hope to achieve by creating and cultivating a surf scene? I hope for positive headlines. Currently Afghanistan is being reduced to war and terror. Unfortunately, this is one reality in the country, but it is by far not everything that defines Afghanistan. The majority of people in Afghanistan is looking for hope, just like everybody else they simply want to lead a happy peaceful life. Surfing in Afghanistan can contribute to this. A sport that recently wasn’t even known, let alone considering a participation in a world cup can give exactly this hope to people, the hope to dream and follow your visions. What boards were you riding in those early days? I started too early with shortboards until I realized that high-performance Medina, John John &co boards are not for me. I won’t get to the point of doing crazy airs, that’s why I’m actually happy surfing many different boards. Right now I am totally into a kinda Mini Simmons wooden board. And now, Afghanistan will compete in the ISA World Games. Specifically, it's yourself going to represent your whole country – how does it feel to be the first person to do that? Actually I only feel happy. Happy to pave the way for future generations of Afghan surfers and at the same time bringing the hope that may come with the news back to Afghanistan. Morocco strike mission proves fruitful. Well, let’s recap: I’m an Afghan refugee who grew up in Germany, started surfing at 19 and went surfing mainly during my holidays. What would you expect? Also, I injured my elbow and couldn’t do any sports during the last six months. But even if I’d be in my very best shape, I’m technically not on the level of professional that started surfing as children. For me, the participation and the opportunity to pave the way for future generations are all that matter. How about training? The ISA World Games take place in Biarritz, have you surfed those punchy beachbreaks before? I’m now here in Hossegor, trying to prepare myself with 1-foot-onshore-5s-period-waves. I hope that will do. But I’m already here around Biarritz for roughly the 10th time. What would be an ideal result for you?